Worship with Us! Sunday Morning Worship and Sunday Night Live Contemporary Worship in our 4th St. Cafe Coffeehouse the 1st Sunday evening of the month. 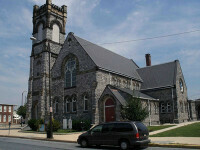 We are all about Mission within our Community of Columbia, PA.